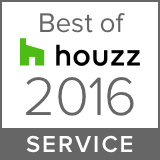 Custom Kitchens was the recipient of 2014 RHome Readers' Favorites: 1st place for "Cabinets" and 2nd place for "Cabinetry Installer". Grand Prize “Residential Kitchen under $70,000″. Custom Kitchens was the recipient of the 2013 RHome Readers' Favorites Award, Best Cabinetry and placed in Cabinetry Installer. Custom Kitchens was the recipient of the Retail Merchants Association 2013 Distinguished Retailer of the Year Award. Custom Kitchens was the recipient of the 2010-2011 Prestige Dealer Award presented by Crystal Cabinets.